I love finding old style cake shops and cafes, and this is one of my favourites. I don’t come by here often enough, and when I do its usually to pick up one of their house specials, the royal chocolate cake – a rich chocolate sponge that is generously covered by even more chocolate layers, but not cream. So it’s like having your chocolate and then some more, and not having to feel guilty about it. 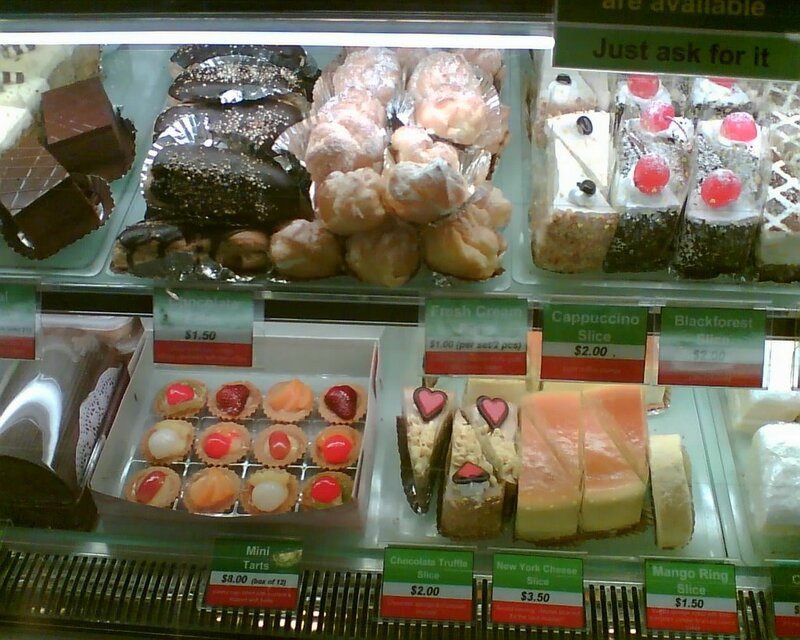 I have tried some of their other cakes too – sponge cup cake, peanut roll – and they are all winnersl. Besides cakes, this cake shop also has a café that serves a variety of home cooked dishes: fried rice, mee siam (a spicy noodle), laska (Singapore version of the curry noodles), fried noodles, etc – all with that special home-cooked touch. blinkingredlight's family love this kind of stuff: hint, hint!